Until now, employers with trade secrets stolen by former employees had to rely upon uneven, hit-or-miss state laws to protect their intellectual property and confidential information. Executive Summary: Until now, employers with trade secrets stolen by former employees had to rely upon uneven, hit-or-miss state laws to protect their intellectual property and confidential information. Enter the Defend Trade Secrets Law of 2016, designed to provide a new, uniform federal civil remedy to trade secret owners whose intellectual property has been stolen—without preempting state law or disrupting fair competition. Now that the Act is finally on its way to President Obama's desk for signing, the Act's signature developments are worth highlighting. The first major change is the Act amends the Economic Espionage Act of 1996 (EEA) to provide a civil remedy for the misappropriation of trade secrets. Previously, the EEA was a criminal statute that did not grant private citizens or corporations a right of action in court. Now, federal district courts have original jurisdiction over civil actions brought by private parties for trade secret misappropriation. This allows trade secret holders the option of going directly to federal court—with its certainty of rules, standards, and practices—and avoiding the potential uncertainty and delay of busier state courts. Perhaps the biggest game changer is the Act's grant of power to federal courts to issue an order without notice to the other side to seize property to preserve evidence or prevent the propagation or dissemination of the trade secret. Though ex parte seizures are supposed to be limited to "extraordinary circumstances," the possibility that a court can seize computers, cell phones, or other devices that may contain a stolen trade secret is remarkable. Seizure of a trade secret stolen by one party and handed off to an accomplice is also allowed under the Act. Any materials seized under an order will be taken into the custody of the court. If a person suffers damage by a wrongful or excessive seizure, that person also has a cause of action against the applicant for the order under which the seizure was made, to recover damages, including punitive damages, and reasonable attorney's fees. An award of attorney's fees to the prevailing party if a claim of misappropriation is made in bad faith, there is willful and malicious misappropriation, or a motion to terminate an injunction is made or opposed in bad faith. The Bottom Line: A recent study has shown trade secret theft causes annual loss of more than $300 billion to the American economy; the loss of 2.1 million American jobs each year; and undermines the means and incentive for innovation. The Defend Trade Secrets Act creates another strong weapon in the corporate arsenal to strike back and stem the tide of cyberthieves, unscrupulous employees, and others who misappropriate confidential information and trade secrets. 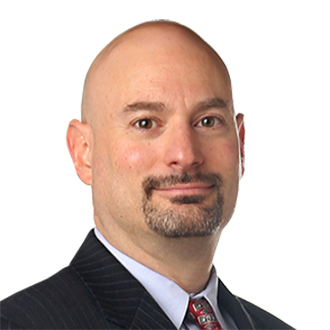 If you have any questions regarding the Act or other issues relating to trade secrets or noncompetition laws, please feel free to contact the author of this Alert, Mark Saloman, msaloman@fordharrison.com, a partner in our Berkeley Heights, New Jersey office and co-chair of FordHarrison's Unfair Competition practice group.